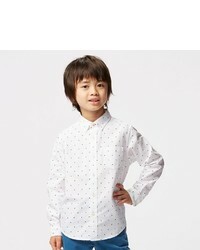 Consider dressing your child in an Uniqlo boys oxford long sleeve shirt with a navy long sleeve shirt and his cute factor will be off the roof. 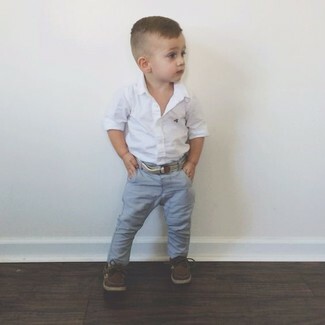 Suggest that your munchkin wear a white long sleeve shirt and light blue denim shorts for a dapper casual get-up. Brown boots are a good choice to round off this ensemble. 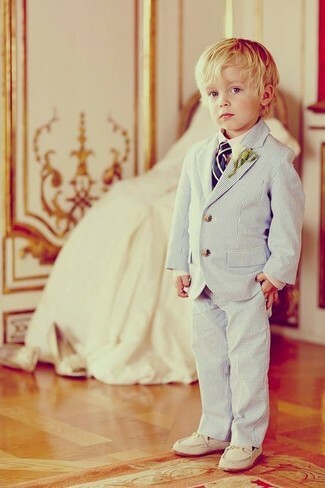 Choose a white long sleeve shirt and light blue trousers for your boy to help him look like a true little gent. White loafers are a nice choice to complement this outfit. 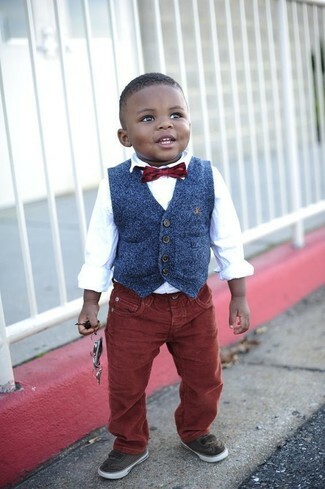 Suggest that your kid opt for an Uniqlo boys oxford long sleeve shirt and burgundy jeans to create a smart casual look. Complete this outfit with dark brown sneakers. For an everyday outfit that is full of character and personality suggest that your little one dress in an Uniqlo boys oxford long sleeve shirt and grey jeans. Dark brown boat shoes are a nice choice to finish off this getup. 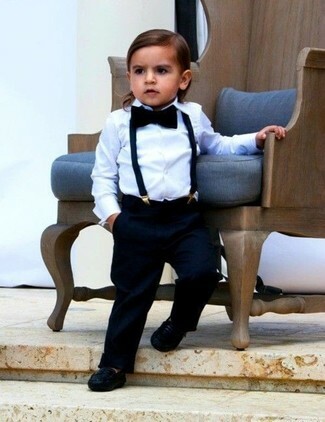 Suggest that your munchkin pair a white long sleeve shirt with grey trousers and his cute factor will be off the roof. Tan desert boots are a nice choice to complete this look. 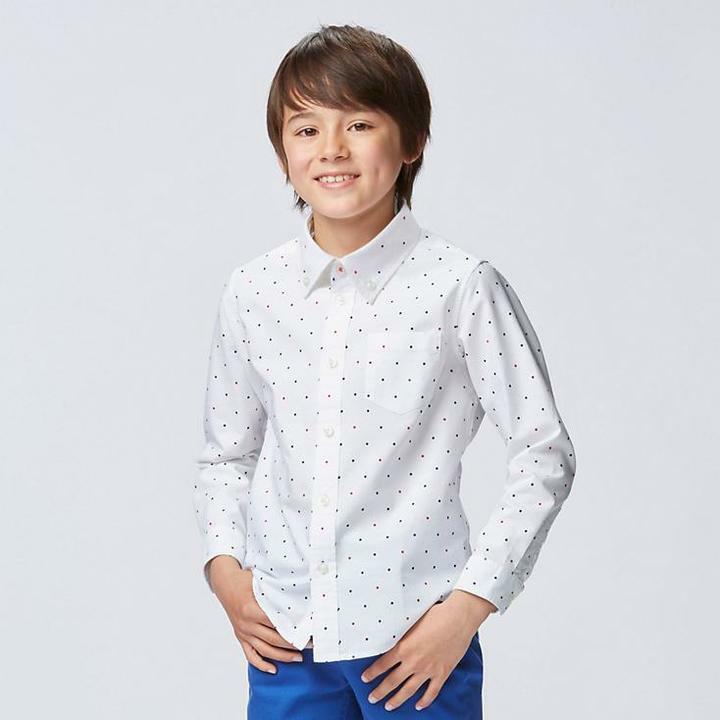 Suggest that your little angel go for an Uniqlo boys oxford long sleeve shirt and charcoal trousers to help him look like a true little gent. Brown oxford shoes are a savvy choice to complete this getup. An Uniqlo boys oxford long sleeve shirt and navy trousers will showcase your little angel's sartorial savvy. Black loafers are a smart choice to complement this outfit. 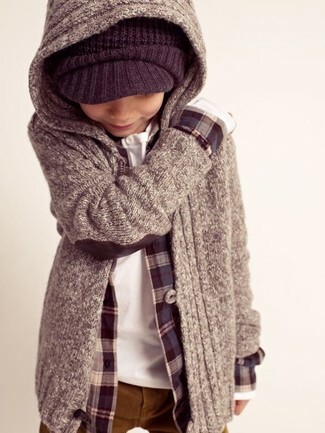 Dress your son in a white long sleeve shirt and tobacco jeans to create a smart casual look. 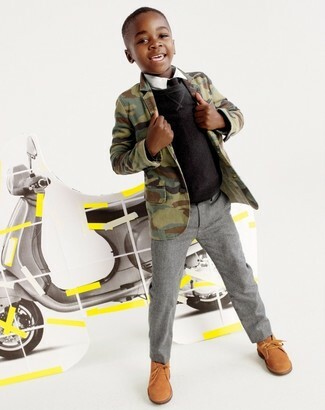 As for footwear your child will love beige sneakers for this outfit.